Night of 10th March 2012. It is more than a week since the trek got over and the Master Blaster has finally silenced his critics yet again, this time with his 100th hundred. 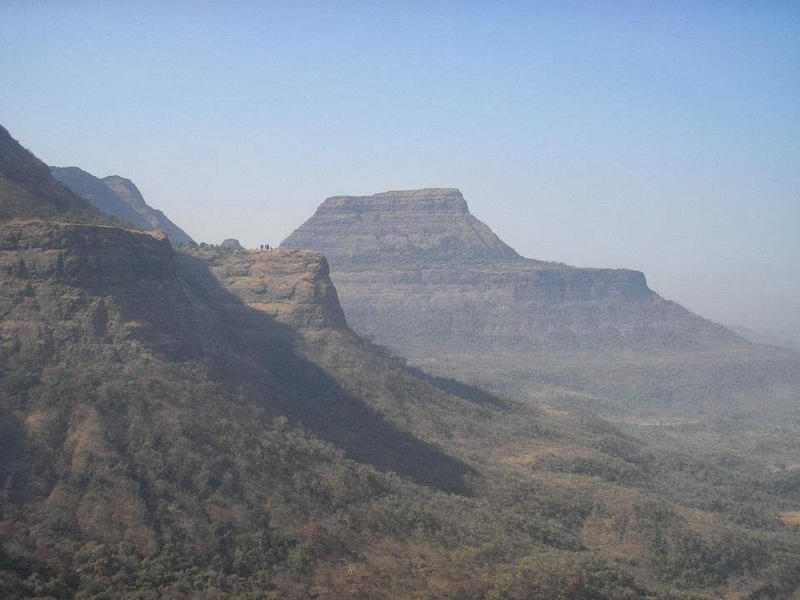 The reason why I am mentioning this is that I myself have completed a half-century of adventures with the completion of the latest trek to Gorakhgad. Though not all have been successful, this is just the beginning. And I strive to improve further. Night hikes were the flavour of this season, I guess. 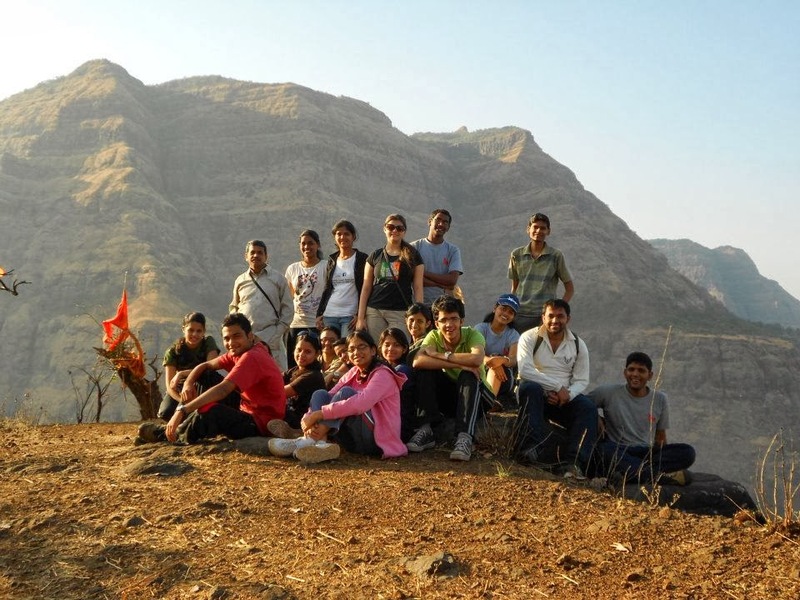 Just a quarter ago, PHC completed a wonderful night hike to Naneghat-Jivdhan, in December 2011. We rarely hike in March, but this year the winter extended itself till early March. It was not a bad idea to do a night trek. The "poll results" were out and Gorakh was finalised as the venue. After half a dozen years of trekking, venues do get repeated. 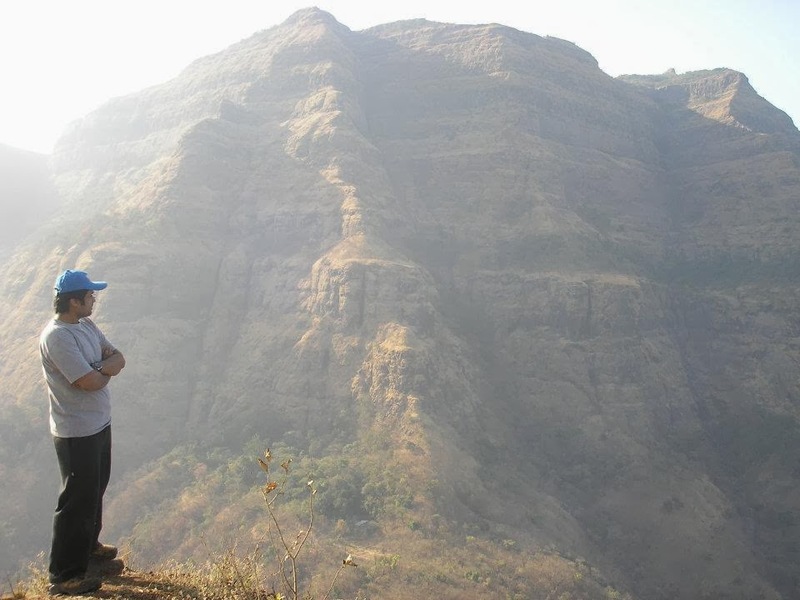 But as a trekker your hunger for exploration never dies. I had done Gorakh previously in winter of December 2006 and again in monsoon of July 2010 and so a night hike in summer was a tempting offer. It’s so nice to be a part of PHC. One always feels welcomed and at home. It was relaxing to sit in the 'college garden' and wait for the group to arrive. We were around 18-20 people. I think this was a trek specially arranged for the JC people. Majority of them were current students with the womanpower outnumbering the men -- A sort of record esp. for an overnight hike. Among the seniors, I had company of my friend Bhavik Shah, Abhijit 'Laaman' Ghaisas, Bipin Pevekar and our beloved Phadke Sir. The vehicle hired for the trek reminded me of the fabulous Salher-Mulher trek we did in October 2006. The memories of that hike still bring me enjoyment and I am grateful to PHC for the wonderful opportunity. Those were the days! A brief halt was taken at Kalyan where I had an ice cream. (For me: a first time occurrence on a trek!) Thanks to Laaman. I still owe him one back. I'd wished for some sleep in the bus, but practically it was not possible as I was seated next to the driver. I've heard it’s dangerous to fall asleep if you are on the front seat next to the driver! And anyways the vibrant youthful environment in the bus ensured that I stayed awake! The view of the empty country roads ahead, surrounded by trees was a beautiful sight indeed. The silhouette of the mountain ranges against the bright night sky got me excited. We inched closer to the Sahyadris as the time passed by. After a short journey we reached the base village Daheri. It was silent. 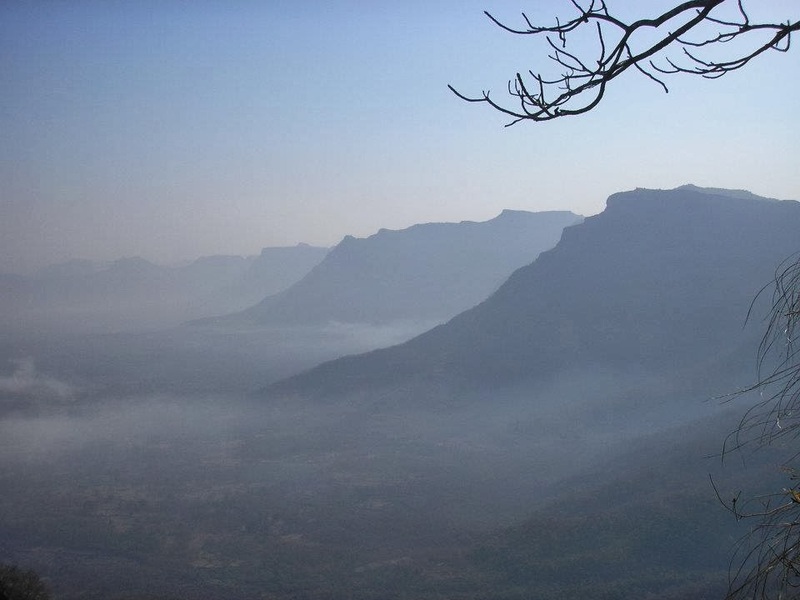 The first view was of the twin peaks of Gorakhgad-Machhindra, separated from the main mountain wall, albeit standing still, directly under the Chandni of the Chandaa Mama. That was mesmerising. I was already missing my digicam. 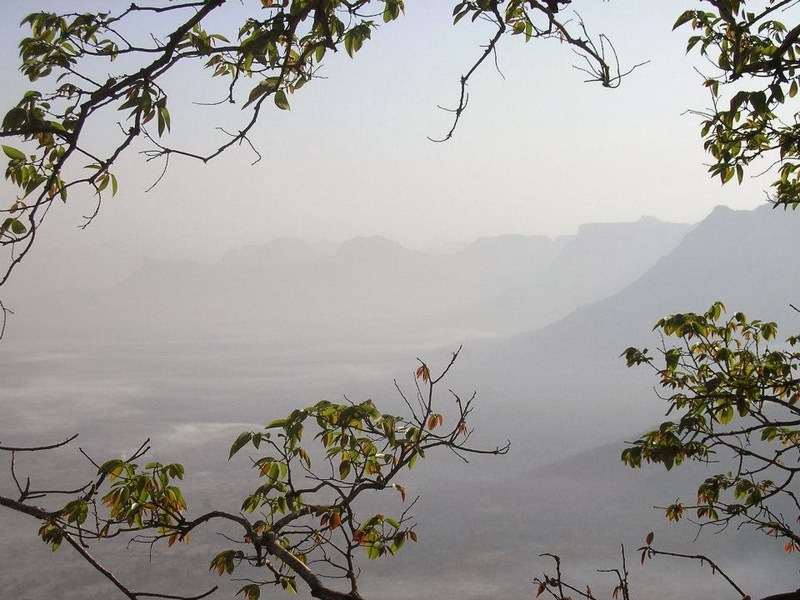 The one on the left (& north) is Machhindra (which often looks like Gorakh from a different angle). The one on the right hand (& south) side was our destination, Gorakh. Macchindra is the smaller of the peaks, but being a sharp pinnacle, is a difficult technical climb. 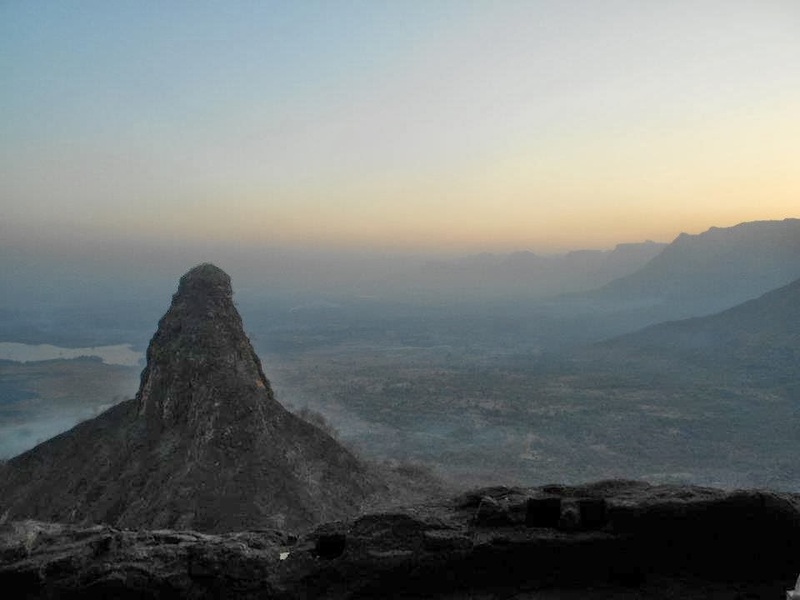 Gorakhgad on the other hand is more easily accessible and higher of the two peaks. It is also closer to the main mountain range. At Daheri, the only visible light, apart from the moonlight of course, was from a small bulb lit outside a familiar house. The house belongs to Mr. Patel, who is now a Congress person/corporator** and heads the 'Cleanliness department' of the area under his jurisdiction. It is usual for trekking groups to visit his place after a trek for tea/cold drinks/snacks. Not all members were carrying a carry-mat/sleeping bag. This was solved by tying the 'extra' carry mats to a few rucksacks by means of a 'Naada'. Thankfully, I was carrying my own carry-mat, which has stayed with me since the Salher-Mulher days. I remember purchasing it from Avi Industries near Ramashray, Matunga. We started off with Sir and Bipin in the lead. Laaman and me were entrusted with the responsibility of the rear end. The climb reminded me that I had a Heart and that it was still working!!! PHC gives you a chance to hear your own Heartbeat in case you don't get to hear it in the city. I wasn't carrying a torch. Fortunately, the visibility provided by the moon sufficed. The panoramic view of the tiny flickering lights emerging from the villages below was too good to be missed. One could even notice the lights coming from Siddhagadwadi situated on the plateau atop Siddhagad. In between, there was a very beautiful sweet smell coming from the forests. I wonder what flower it could be. It was similar to Mogra or Chameli, which are there in the 'Gajra'. Occasionally a 'whoop' could be heard out of the blue. 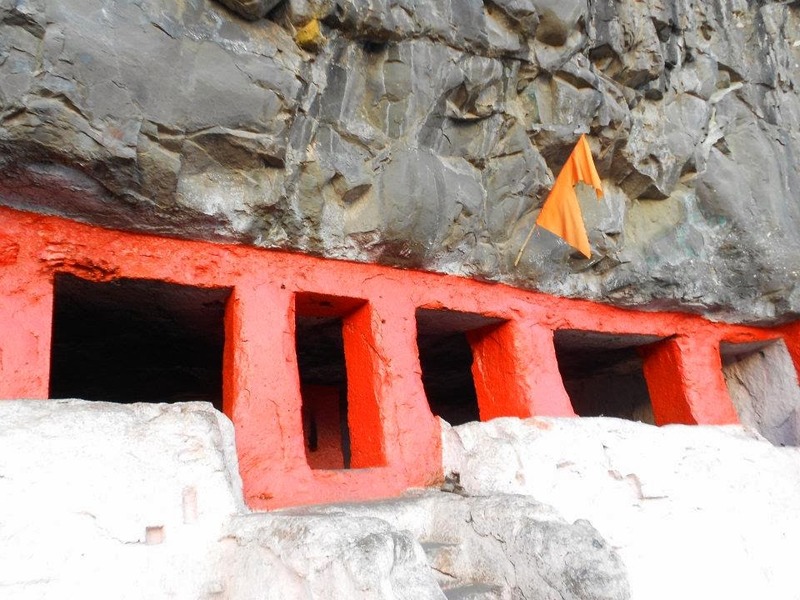 I kept my fingers crossed as we neared the Hanuman temple situated just before the final climb up to the caves. Thankfully all monkeys were asleep, or so I liked to believe! 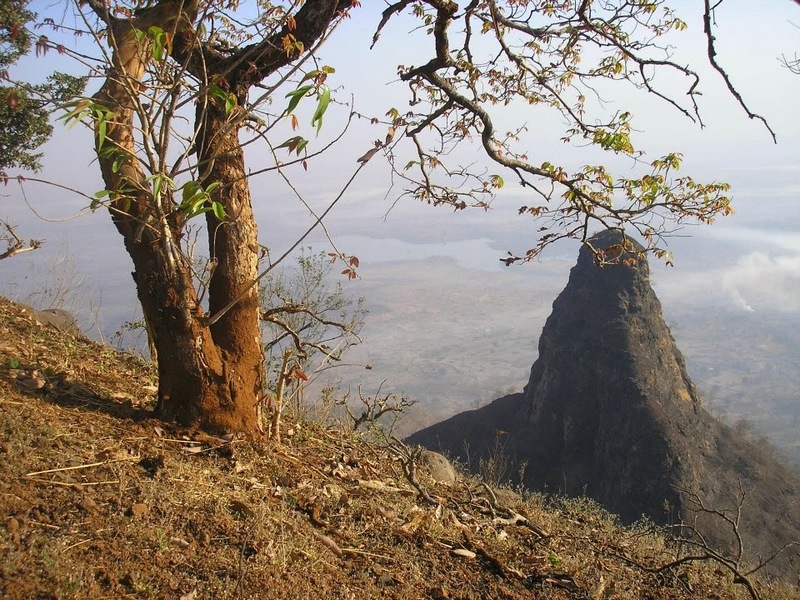 The climb in Gorakhgad is steep enough to justify some rest. At 2am we were at the temple where we had a short halt for some midnight snack of apples, sandwich and 'Pooran-poli'. The last of the 'Jyots' of a 'Diya' placed in the temple was still flickering. As I was having a look around, my eyes caught fancy of the shape of Damdamia. In no time I was imagining a chart of the Sensex. It happens with me sometimes: At office I see Mountain shapes in a Sensex graph and here I was on a trek; in the middle of the night, seeing a graph in the contours & slopes of the mountain! The climb to the caves had begun and the dog that was proving to be a hindrance in the rock climb thankfully gave up the climb. By the time we reached the caves, it was 3am. Getting up early for the sunrise seemed increasingly difficult now. In spite of the presence of two other groups, the cave had enough room for PHC. Within 5 minutes I had my 'bed' ready and don't remember when I fell asleep. The sleep was sweet and deep, but didn't last long. The murmur among the other groups had started. It was 6:20am and dawn break already. The feeling of experiencing the Sun, rise from among the mountains is a very beautiful sight indeed. 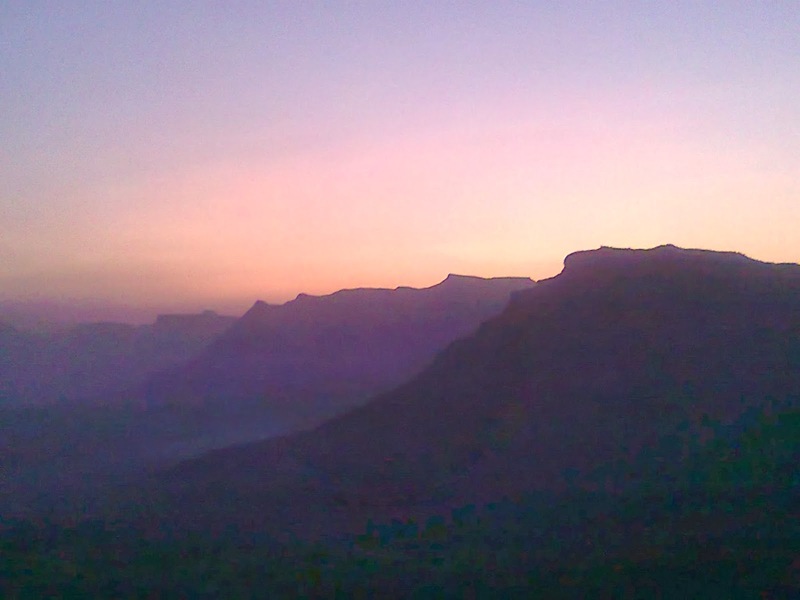 The sunrise that I'd witnessed during the Naneghat-Jivdhan hike still lingers in my mind. This time, however, I missed bringing my Digicam along. What an opportunity missed! 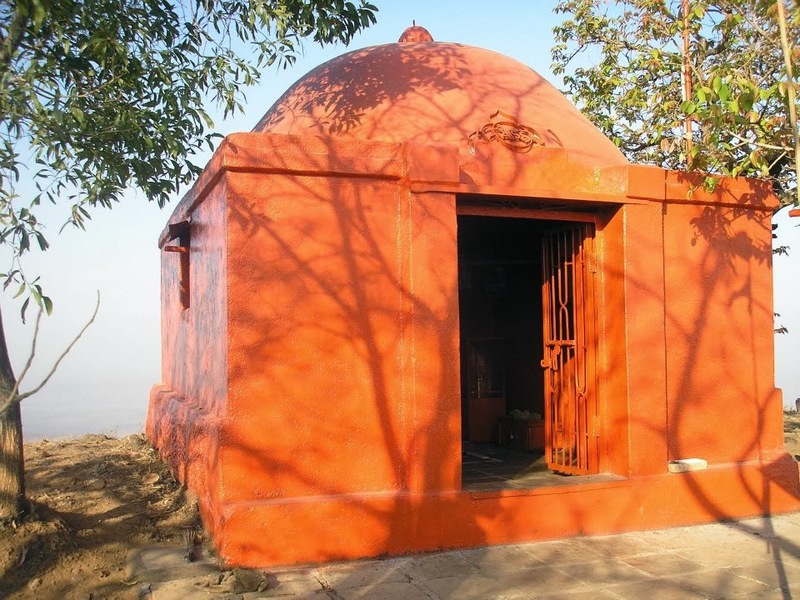 It was decided that the group would first visit the temple atop. Thankfully, one of the two groups offered to keep a general vigil on our rucksacks. That gave us the freedom to enjoy the steep rock climb, hands free. I leave it to the current students to describe the experience of climbing this final staircase. For me it has always been special and lovely. The sun was shining bright. We had some photo sessions atop. The 360-degree view offered by the top was amazing. We even did spot our bus and the Ashram from where we had started the climb. The stay at the top was brief with the hunger for food growing. The climb downstairs was more thrilling than the climb upstairs because while getting down you actually get to see the steepness. Laaman was in demand as he was the only one to carry a bag. Nothing amusing in it except that he was the only one who had all the water. And almost everybody was thirsty after the wonderful adventure. And now it was my turn to fetch some much-needed water. For the first time in my 3 visits, I ventured further ahead and almost did a full circle around Gorakh. 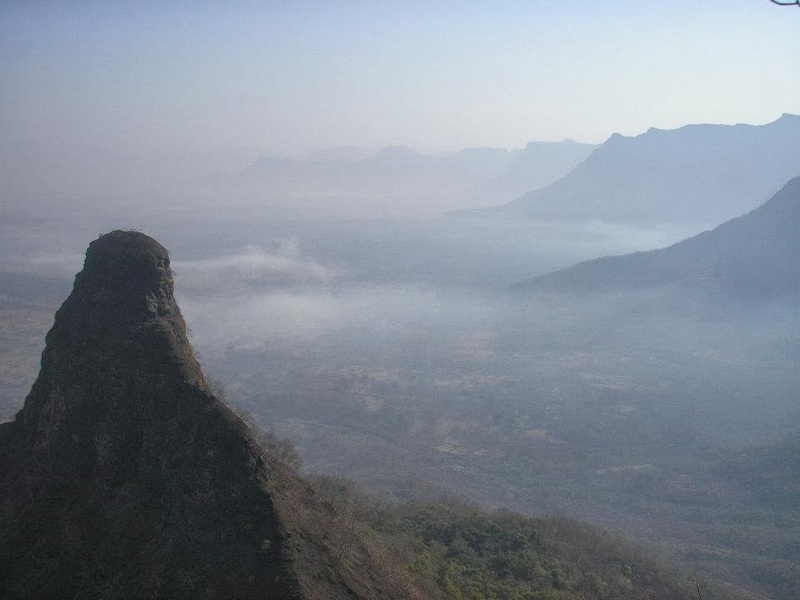 You get to see something new every time you visit the Sahyadris. The room for exploration never comes to an end. After much tp, we returned to the caves where the 'Brunch' session had already begun. It was about 10am. This was indeed going to be a very short-lived trek for me since I had to rush back for some work. Furthermore, any more delay meant bearing the brunt of the summer sun. So, after having light food, I prepared for returning down. But that was after sharing the treasure with everyone: The Glucon-D disguised in a pack of Real Apple juice! Thankfully, I had Bhavik's company and we left at 10:40am after bidding a Good-Bye to all! The weather was indeed hot and the route was exposed. It was devoid of much needed tree cover, but we kept moving at a decent pace. The water reserves turned out to be just enough! The downward journey was accomplished in an hour and at 11:45 we were at the Ashram, sitting under the shade of a tall tree, with our faces looking like red tomatoes (well, somewhat). At Patel's, some cool water to wash the face provided some relief. We even had coconut water (the last one remaining) from the shop on the other side. We were told that an ST bus for Murbad is expected around 12:30pm. We waited in vain. Just then, the mountaineering couple; CA Divyesh Muni and his wife Mrs. Vinita Muni returned from the trek. I hadn't met them on the top when they met our group, as I was busy exploring the other side of Gorakh. It was only after Sir told me about them during the brunch in the cave, that I happened to recognize them. We had a small chat with them. With no sign of the ST bus approaching, we decided to ask the Munis for a lift till Murbad, from where we had planned to get a taxi upto Kalyan railway station. The Munis agreed. In their car, we had a general discussion about trekking and career. It was nice to interact with such experienced trekkers. They came across as being very adventure loving, with their latest addiction being cycling. At their age, they seemed to be fitter and younger than their counterparts. At Murbad, it was time for us to say Thanks and Good-bye. After the cool journey upto Murbad, we queued up at the taxi stand. We hopped into one, which was slowly stuffed with more and more passengers till we were final tally of 15 (excluding the driver!) At Kalyan, we had a cool glass of 'Nimbu paani' and reached the station just in time to catch the 2:33pm fast local. I was home by 3:15pm. So, the trek has finally come to an end and thanks to Mr. Divyesh Muni, I have booked a seat for myself in the upcoming Banff Film Festival. My traveling was more than my trekking and as usual my report is the longest of ém all. However, any comments and feedback would be appreciated. 3 CHEERS TO PHC !! !